You can listen to each episode of ThunderCast by downloading the episode as an mp3 or streaming it online here at ThunderCats Lair, or by subscribing to the podcast via the iTunes link on the right! 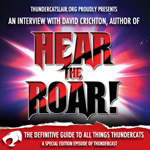 A special edition episode of ThunderCast, featuring an exclusive interview with David Crichton, author of the new book Hear the Roar! The Unofficial and Unauthorised Guide to the Hit 1980s Series ThunderCats. Nick interviews David and gets his thoughts on many aspects of the series, as well as insightful behind-the-scenes info, and details on what content you can find in the book. 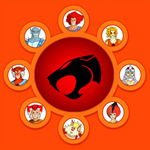 Nick and Chris from ThunderCats Lair discuss the premiere episode of the new ThunderCats animated series – what they liked and didn’t like, and their thoughts on the characters, storylines, visuals, music and voice acting from the new series! The team from ThunderCats Lair are back with another new episode, discussing the forthcoming new ThunderCats animated series and trailer, the upcoming new toyline from Bandai, and the leaked test footage from the aborted CGI ThunderCats movie! It’s been a really long time, but we’re back – and hopefully for good! Nick, Manny F., and Chris discuss all the latest news from the past year including the tragic death of Stephen Perry, the concept images and leaked script from the shelved ThunderCats movie, as well as the rumored (now confirmed) new cartoon and toy line! Join Manny, Celesta and Nick on our first ever guest panel of ThunderCast! Join Chris, Manny R and Kyle as they discuss Season 1 Volume 2 DVD release and all the latest ThunderCats News, including some interesting movie developments. 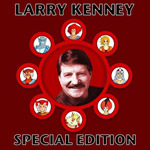 In this special edition Thundercast Join Chris, Kyle and Neil as they interview none other than Lion-O him self, Mr Larry Kenney. 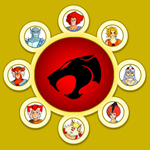 Enjoy as we discuss all things ThunderCats, memories, Larry’s past and present career, as well as some other exciting discoveries along the way.. A must for all ThunderCats fans!! In Episode 3, Neil, Chris, MannyC and Kyle discuss the LJN Toyline, its history, personal memories and favourite figures, as well as round up all the latest ThunderCat news. 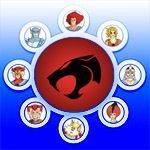 In Episode 2, Chris, Neil, Kyle, MannyF and MannyC discuss and review both the US and UK DVD releases of ThunderCats Season 1 Part 1, as well as round up all the latest ThunderCat news. Welcome to the first ever episode of ThunderCast! Here you can join Neil, Manny, Kyle and Chris as they introduce themselves and the Thundercatslair.org team and site. In this first episode we also cover the news over the last year or so as well as the first ever episode of ThunderCats, “Exodus”!